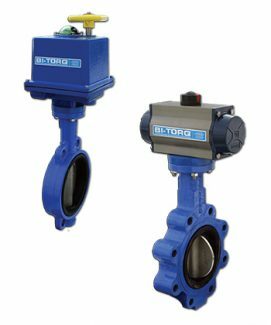 Bi-Torq Valve Automation is a division of AVL Carbo-Bond, who have been designing and manufacturing quality custom automated valves and mounting hardware since 1981. Because of their strong ties with valve and actuator manufacturers, Bi-Torq has a strong knowledge of the industry accompanied with a vast array of products allowing them to provide valve automation components for virtually any application. The team of technical sales staff, designers, and long-time employees will ensure proper product selection for your application. Since Bi-Torq’s inception in 1995, their operations have significantly increased. While their main focus was originally on customized mounting kits, Bi-Torq shifted to answer customers’ need for options to complete their valve automation packages. The Bi-Torq rack and pinion pneumatic actuator was the first product introduced in 1995, followed shortly after by the InstruPak, a direct mount automated valve package that includes brass, stainless steel, carbon steel, and thermoplastic ball valves. Since then, Bi-Torq has expanded its products to include cost-effective butterfly valves, electric actuators, limit switches, proximity sensors, positioners, fusible link assemblies, and gear operators. Along with the products from their parent company, Bi-Torq can offer a complete package to meet your valve automation needs. 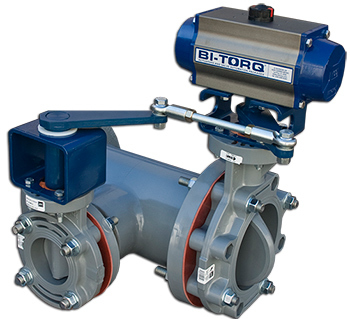 Bi-Torq was one of the first to offer completely assembled automated ball valves. They can come with pneumatic double acting or spring return actuators, or electric actuators in AC and DC voltages. They feature 2-way and mutli-port configurations. There are a variety of seat and seal configurations to meet the needs of any application. Each valve is factory assemble and tested. Most Bi-Torq Manual quarter turn valves have OSHA approve locking handles. They also can provide custom oval handles, tandem linkages, spring return “deadman” handle, or overhead levers to suit a variety of applications. They are available in brass, stainless teel, carbon steel, PVC, and CPVC. They feature 2-way and mutli-port configurations. There are a variety of seat and seal configurations to meet the needs of any application. Each valve is factory assemble and tested. 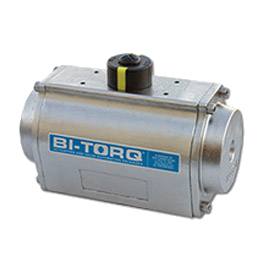 Bi-Torq offers both pneumatic and electric actuators. Pneumatic actuators are made of hard anodized extruded aluminum, TFE, 304 stainless or 316 stainless and have both double acting and spring return actuators with optional epoxy coating. Electric actuators have NEMA 4,4x and 7 enclosures with internal or external batter backup systems. Fire rated and UL models are available. 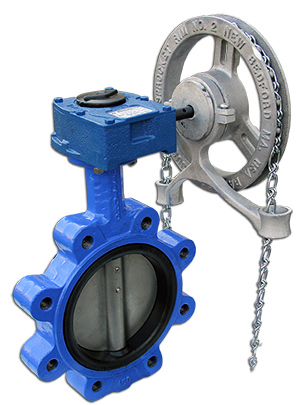 Bi-Torq Butterfly Valves packages with pneumatic or electric actuators can fit a wide variety of applications. Options include standard stainless steel discs, choices of EPDM, BUNA-N, Viton, or TFE seats, and wafer or lug style connections. Bi-Torq Knife Gate Valves are for tough applications such as solids, slurries, wastewater, bulk handling, pulp and paper, and food processing. 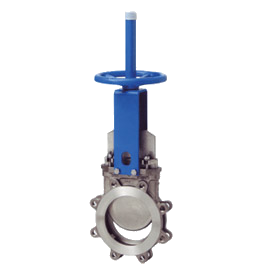 Valves are available in wafer or lug style, as well as, cast iron bodies or stainless steel bodies. The knife valves come standard with a manual handwheel, but pneumatic cylinders or multi-turn electric actuators are available. Bi-Torq offers safety product that are intended to reduce facility risk and insurance costs by increasing safety for plant employees and surrounding communities. Products include fire safe fusible link assemblies for emergency shutdown, spring return handles to eliminate the risk of leaving a critical valve in the wrong position, and lock-out devices for both automated and manual valves. 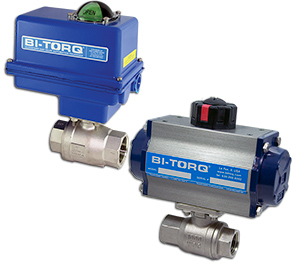 Bi-Torq offers a variety of high quality accessories to go along with your automate valve package. Accessories include position limit switches, NAMUR Mount Solenoids, Pneumatic Positioners, and Gear Operators and chainwheels. All accessories come pre-mounted and tested before they are shipped to you. Bi-Torq can create customized mounting hardware to fit your applications. They can design tandem linkages, 3-way Tee Linkages, Safety products and extensions to complement your automated valve package. They have a 48 hour emergency service that reflects their commitment to your complete satisfaction. 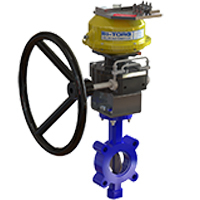 Their mounting hardware is being used worldwide in many different types of applications and they can mount virtually any valve to any actuator.